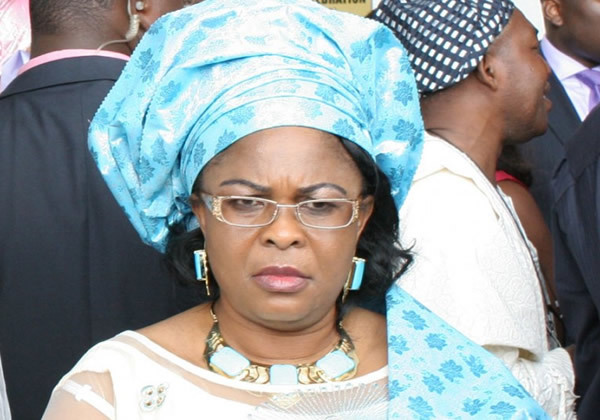 Exactly eight days after the Supreme Court upheld Federal Government’s interim seizure of the $8.4 million believed to be owned by ex-First Lady, Mrs. Patience Jonathan, the apex court has again agreed to a similar forfeiture of another N2.4bn linked with Mrs. Jonathan. While men of the Economic and Financial Crimes Commission (EFCC) said the $8.4 million were discovered in some accounts linked to the ex-First Lady, the N2,421,953,522.00 was said to be held in bank accounts owned by Lawari Furniture and Bath Limited, an entity in which Mrs. Jonathan allegedly has interest. In a judgment yesterday, a five-man panel of the Supreme Court rejected the appeal by Lawari Furniture on the grounds that it was without merit. The appeal was filed and argued for the appellant by Mike Ozekhome (SAN). In the lead judgment written by Justice Amiru Sanusi but read by Justice Sidi Bage, the court upheld the order of interim forfeiture made by a High Court in Lagos on April 26, 2017, which was affirmed by the Court of Appeal, Lagos in a judgment given on January 12, 2018. The court rejected the argument by the appellant who faulted the interim order of forfeiture obtained by the EFCC via an ex-parte motion, and prayed that it be set aside. It also rejected the appellant’s prayer to void Section 17 of the Advanced Fee Fraud Act and other Fraud related offences Act, on which the High Court relied in issuing the order of interim forfeiture. The court, in the lead judgment, noted that it rarely interferes in the concurrent findings of the two lower courts, except where there are exceptional circumstances and the findings perverse. It noted that, in the instant case, no such exceptional circumstances existed. In his supporting judgment, a member of the panel, Justice Ejembi Eko, observed that the substance of this appeal was similar to the one decided by the court on March 8 this year (relating to the interim forfeiture of $8.4m). Justice Eko said both appeals ought not to be split and assigned to different panels to avoid the risk of issuing conflicting judgments. He found nothing wrong with the provision of Section 17 of the Money Laundering Act, which he noted was the same as the provision in Section 29 of EFCC Act. Other members of the panel, Justices Ibrahim Tanko Muhammad, Mary Peter Odili and Kudirat Kekere-Ekun, agreed with the lead judgment.